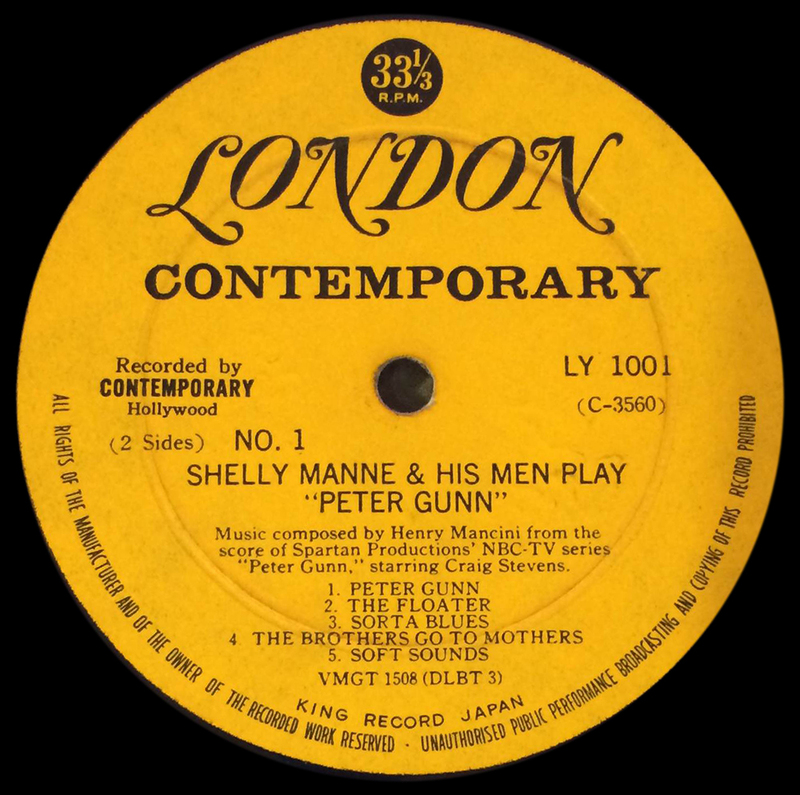 US Contemporary recordings were released in the UK by Decca-owned Vogue Records, on the dedicated Contemporary Vogue label. 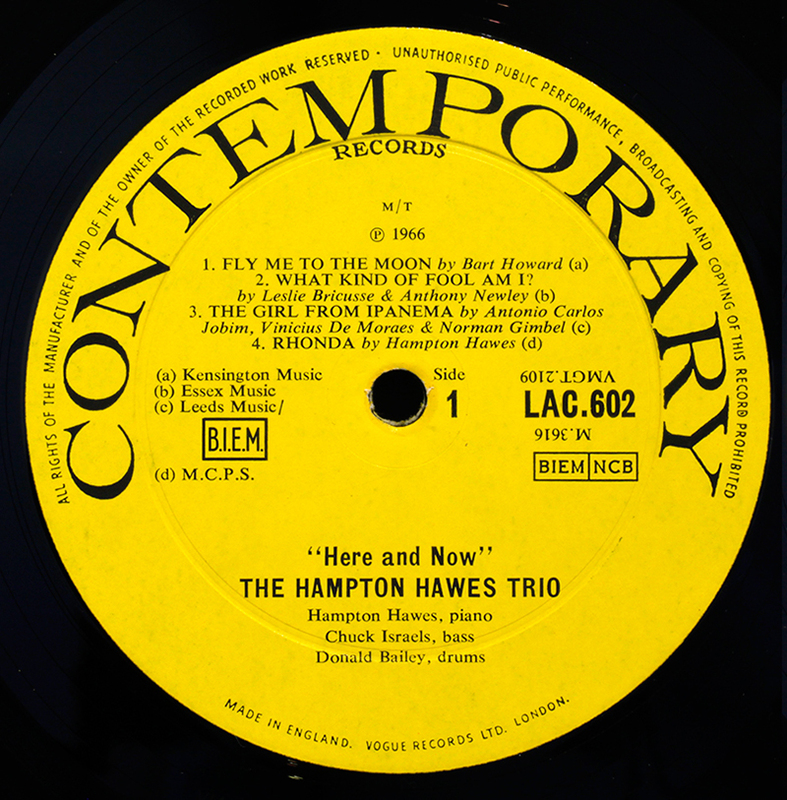 The label ran from around 1956 until the mid Sixties. (exact dates not known, ©1966 has been seen) All the major Contemporary artists were released on Contemporary Vogue, and much sought-after US pressings can sometimes be obtained less expensively on these UK editions, though the very rarest titles are also hotly contested by European collectors. Of those in my collection below, Jimmy Woods, Art Pepper, Sonny Rollins, Curtis Counce, Teddy Edwards and Howard McGhee are particularly collectable, and expensive. The UK cover art is exactly the same as that of the US edition. Likewise the liner notes are a replica of those in the US. Recordings were re-mastered by Decca engineers from copy tapes sent from the US, and pressed at Decca’s New Malden plant. To the ears, these were high quality faithful masters which have made the necessary on-the-fly adjustments noted in Roy DuNann’s mastering notes. Typically these are 150-160 gram substantial vinyl -some heavier than their US counterparts, with deep groove either in the usual 78rpm position or more usually around the outer rim of the label. All aspects of pressing are to Decca high standards. The label is lemon yellow rather than the US canary yellow. (The clone-makers who plague the Contemporary catalogue always copy the US yellow label and cover). Most of the titles were released only in mono, but towards the end of the series titles began to appear in stereo. Deep groove Decca pressing on black and silver label. Matrix code indicates stereo ZMGT instead of VMGT, “1” = 1st pressing, “W” is Decca Engineer Harry Fisher, L= George Bettyes. In each case, stereo was mastered by other engineers, not the regular “B”. This label is a rare early Japanese pressing by King of a Contemporary originally released in the US in 1958. Its dual provenance makes it difficult to classify, hence cross-posted in both London Records and Contemporary. Japan release of US original stereo – facsimile label – manufactured by the mighty King Record Company, Tokyo. In the 1970’s King were literally the King of Japanese pressings, known not only for their superior audio fidelity and silent vinyl but also for the extraordinary care of records taken by the Japanese vinyl owner. Fine plastic inner sleeves protected against paper scuffs, but more importantly, the lightweight-tracking arms of quality Japanese hifi left no trace of damage to vinyl grooves. 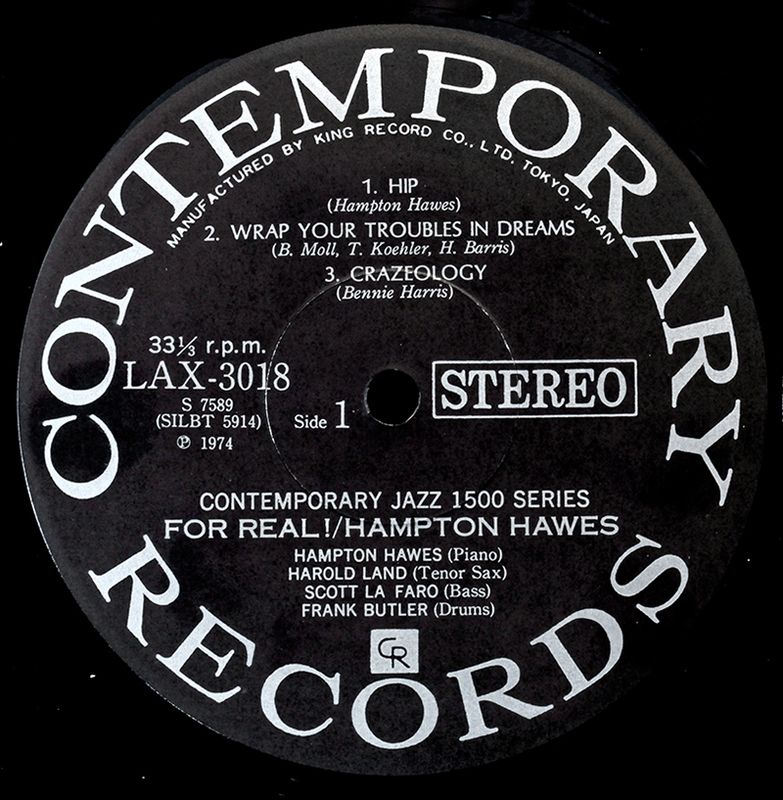 Scratched records were a matter of shame in the Japanese jazz community, atonement requiring the ritual disembowelling of Hari Kari, imitating the movement of the record arm scratching across the record. Ironically, Japanese jazz collectors desperately seek US original pressings, to the neglect of Japanese pressings, which often flow the other way to the US and Europe. Hi there, thanks for the knowledge. Great site! I’m curious about the different positions of the deep groove on the UK mono editions. The 78rpm position compared to the outer rim. Was one variation earlier than the other? Does this effect the collectibility/value? Thanks!